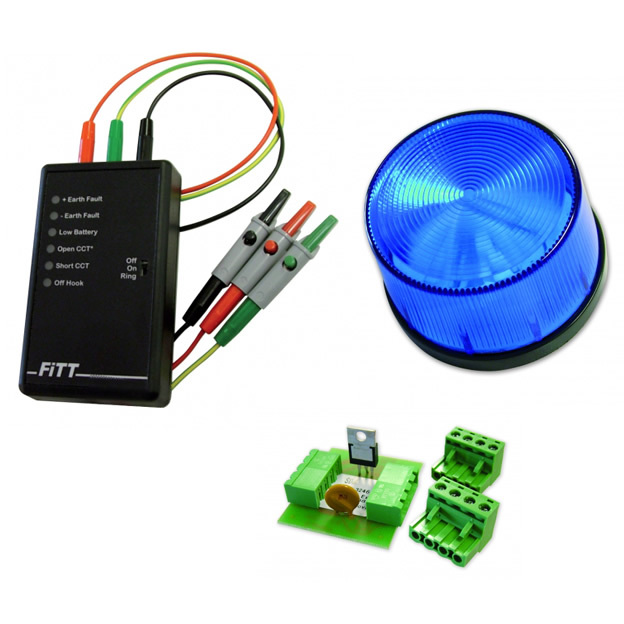 Devices can be named/edited using the buttons on a master controller or via an optional PC programming configurator (part no. EVC423). Ideal for hotels, shopping malls, office blocks, transport terminals, banks, sports stadiums, entertainment complexes, etc. 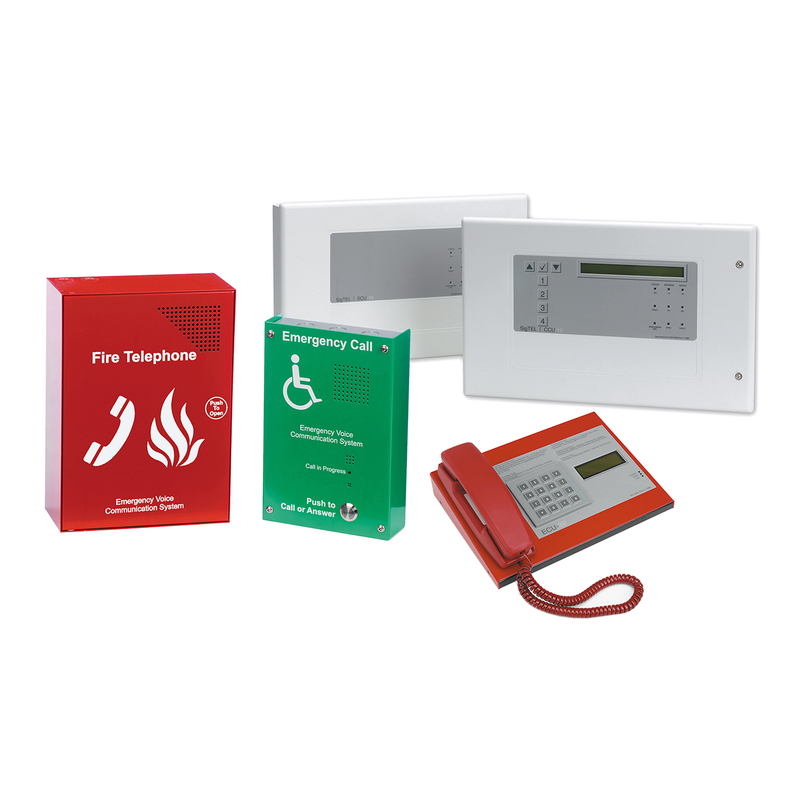 SigTEL Controllers are typically located in a building’s control room or a fire services access point to allow management and/or the emergency services to communicate via telephone-style handsets with the system’s ‘outstations’. 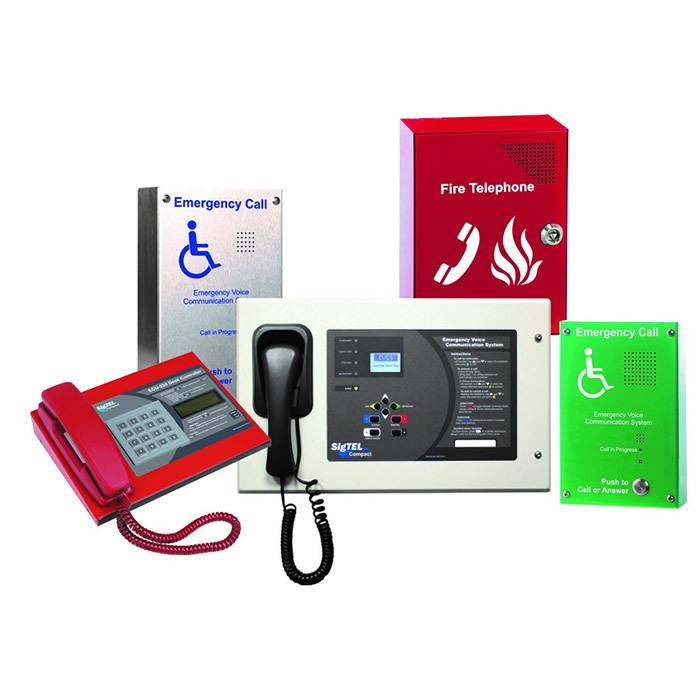 Two types of outstation are available – Type B (handsfree intercom-style) outstations for disabled refuge applications and Type A (telephone-style) outstations for fire telephone and/or stadium marshalling applications. Both versions offer high quality, full duplex speech and connect to a SigTEL ECU-4 or ECU-8 Controller (or 8 line expansion unit) using two cores of 1.5mm2 of enhanced fire rated cable of up to 1 KM in length.